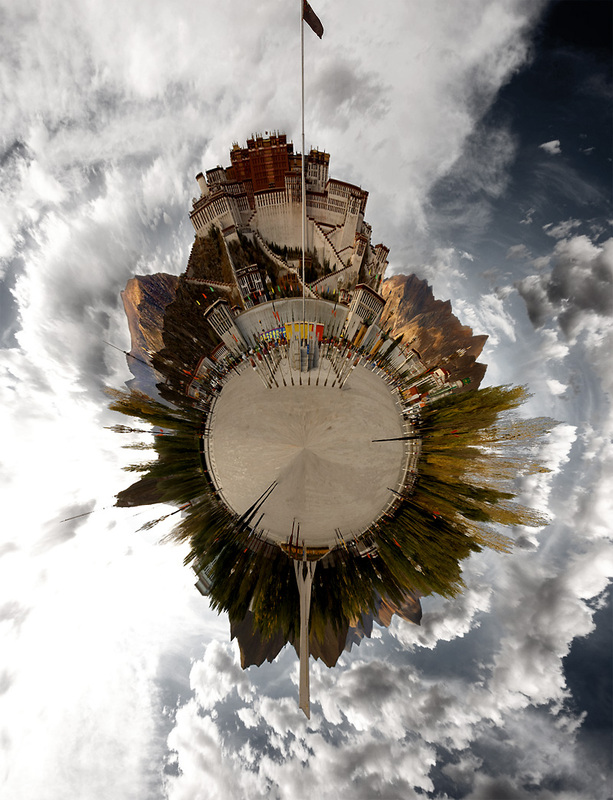 Potala Palace, seat of the Dalai Lama, shown using a 360 degree panorama taken from the Potala Palace square in the evening. The directional light present when the photo was taken made post-processing incredibly painstaking and since I have limited experience with these photos, I made a mental note to attempt this type of panorama when the sun is directly overhead... just food for thought in case you wanted to try this planet panorama. Learn how to create your own planet from panoramas from these links.